Where do I find a lawyer in Ohio? State laws in the United States can be complicated through interactions with local and federal laws and an ever-changing legal system. This will bring up eventual questions about inter-state law enforcement and how similar cases will proceed in different jurisdictions. For this reason, when going through the legal system in Ohio, it is important to have an Ohio lawyer that is familiar with local and state laws and can best serve your needs in the jurisdiction. Gun control laws are an excellent example of how legislation varies by location. Throughout the entire state of Ohio, there is a no ban on assault weapons, with no restrictions on magazine capacity. No permit is required to purchase or possess a shotgun or rifle. A permit is required however, to purchase a handgun. None of these weapons needs to be registered. Carry permits are issues for handguns only, after 12-hour training class on gun safety. This includes 2 hours of practice at a gun range to ensure that the individual can safely use a gun. Under all circumstances except discharge of firearms, Ohio law preempts local laws on gun control. Ohio may recognize out of state open and concealed carry permits if that state’s laws are similar to that of Ohio. There may be existing reciprocity agreements because of this. Ohio lawyers are familiar with these local laws and can help you if you find yourself in trouble with the law due to state or local laws and have your cases tried in that jurisdiction. Why would I need an Ohio lawyer? As laws vary from state to state, a person that is not sure of the legality of their actions may want to consult a local lawyer. This is especially the case when the resident is out of state but is accused of a crime in Ohio, or an important civil matter must be addressed in the Ohio courts. For these circumstances, a lawyer in the individual’s home jurisdiction may be of limited or no use, especially with geographic considerations, especially when dealing with court appearances or circumstances that require the presence of a lawyer. Even for non-litigation matters, an Ohio lawyer can be useful to review contracts and other agreements for compliance within Ohio law. What are organizations of Ohio lawyers? The Ohio State Bar Association is the primary organization for Ohio lawyers. Membership in the bar association is not mandatory, but bolsters a lawyer’s credentials significantly. This is especially the case in Ohio as the State Bar certifies attorney specializations and maintains a voluntary credentialing program for paralegals. These specializations include administrative law, family relations, worker’s compensation and estate planning. Publications of this organization meant for the public include the “Law You Can Use” and the “Law & You” which demonstrate the intention of this organization at making the law accessible to the public. Other resources for the public include a job board for those interested in a legal profession and a multimedia library about law topics. The OSBA provides a number of discounts for members, as well as a service to connect lawyers with court reporters, expert witnesses and other legal related services. Additional perks include a library of legal forms for their personal use and a system the organizes legislation for easy use by the lawyer doing research. The OSBA Report and Ohio Lawyer are publications put out by the OSBA that keep lawyers up to date on changes to the legal code and other relevant information related to their profession. Additionally, there are mandatory Continuing Legal Education classes that all lawyers must complete. They must complete 24 hours worth of CLE courses every two-year period. This includes refreshers on professionalism and avoiding substance abuse. The emphasis on fighting substance abuse is in deference to the tough conditions faced in the legal professions that often leech into a lawyer’s personal life. The Ohio State Supreme Court, rather than the Bar Association itself accredit these courses. As with most State Bar Associations, the OSBA sets ethical guidelines and maintains an ethics hotline to dispense advice to lawyers on those matters. For these reasons, membership for lawyers in the bar association and one seeking a Ohio lawyer should consider a member of the OSBA. Dues for the OSBA vary based on active membership, relative experience as an attorney and function as an attorney, generally government vs. non-government. Regarding lawyer referral service, only local bar associations maintain this service, which is regulated by the Ohio Supreme Court. Depending on your location, you will have to contact the bar association that works within that country for a referral. How do I know my Ohio lawyer is legitimate? You should be wary if your lawyer cannot show proof of admission to any bar Association, state or local. Membership is not mandatory, but it is customary and legitimizes practicing lawyers in good standing as membership is otherwise not allowed for unscrupulous lawyers. If the attorney does not have admission to the state bar, you should examine his or her credentials. Remember that the OSBA has continuing legal education classes and other services to keep lawyers up to date, which are valuable for a dynamic law practice that keeps the best interest of the clients in mind. Ensure that the law degree is from an accredited law school and that the lawyer has evidence of admission to the bar. If the lawyer does not produce these things, then this is likely not an individual that should be dispensing legal advice. What are the typical rates of a Ohio lawyer? Lawyers do not often readily advertise their fees, which makes consultations invaluable. Free legal services exist for families in needs, such as the Southeastern Ohio Legal Services that helps families that are 125% below the federal poverty level. These services are limited to families that can demonstrate need only. These sorts of services handle specific issues, such as utilities cutoff, denial of public benefits and family issues. Even if you are not eligible for free service, some lawyers may have alternate pay plans or different arrangements to pay fees, so it is best to check with the lawyer during the consultation for fee arrangements. What are questions to ask Ohio lawyers? How does my case relate to Ohio laws? Are you a member, in good standing, of the Ohio State Bar Association? It is not difficult to find OH lawyers. Although the state bar association lacks mandatory membership for lawyers as well as lawyer referral service, local lawyer referral services are available to find lawyers in Ohio. These referral services are regulated by the Ohio Supreme Court, which will make sure that the service is fair to client. You may still need to pay a lawyer referral fee to find an OH lawyer but these fees are generally reasonable. You must be aware of fees the OH lawyer will charge, including consultation fees. For many situations, especially accident cases, lawyers in Ohio will not only work on contingency, but also offer free consultations and case evaluations. These are generally good options, as long as the contingency fees are not too high and are represented as a percentage of the settlement, rather than a lump sum payment. It is in your best interest to find lawyers in Ohio that are members of the Ohio State Bar Association. These lawyers not only have to be held to high professional and ethical standards, but they also have significant resources to help with cases and continuing legal education classes to keep up to date with the latest developments that will affect your case. 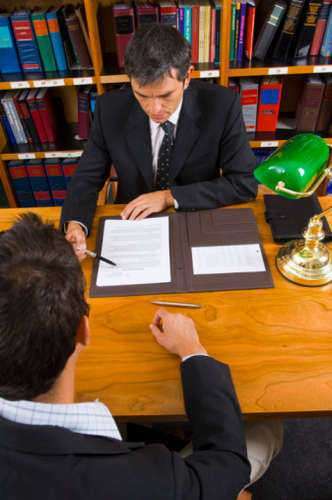 The professional connections cultivated through these organizations are also very important to ensure that the lawyer in Ohio is up to date on legal matters within the state. Lawyers in Ohio follow similar payment and fee arrangements to other lawyers around the country. It is up to the client to do adequate research on lawyers in Ohio. Some may charge exorbitant, but legal fees so do take advantage of free consultation, if possible, with a lawyer. The client, regardless of the case or payment arrangements, usually pays Court fees. Ohio legal associations offer fee dispute services for clients that feel their lawyer has charged them exorbitantly or outside of prearranged fee arrangements. Do not hesitate to use this service if this is the case. Ever bar association will have different disciplinary procedures, but ultimately the Ohio State Supreme Court can step in an punish any lawyer in Ohio that has behaved contrary to the standards of the Bar. Although many individuals will never need an aviation lawyer, a few Ohio airplane crash lawyers can help with aviation accidents. Ohio airplane crash lawyers build their cases based on negligent aircraft maintenance, pilot errors and other factors that may have caused the plane to crash. Individuals needing an Ohio airplane crash lawyer are generally the victims of private plane crashes, rather than commercial disasters, but are still qualified to pursue accident cases. In many ways aviation accidents and typical automobile accidents are similar, in relation to the legal system, making the lawyer’s job significantly easier when litigating in court.